Maybe "nobody" is a bit of a stretch. 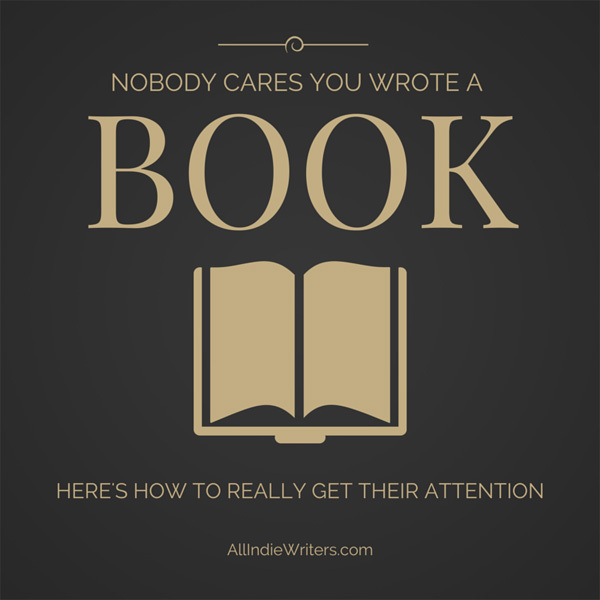 But here's a harsh truth for authors: most people really do not care that you wrote a book. You just published a book. You're excited. You want to shout it from the rooftops. I get it. So tell your friends and family. 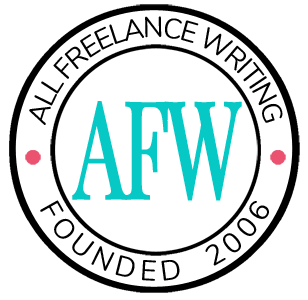 Share the news with your writer's group. Mention it on your personal blog even. But don't run around making this same old generic "I wrote a book! I wrote a book!" announcement everywhere you go. It's a common book marketing mistake, especially with first-time authors. And it makes you look like an amateur. Give people a reason to care about your book. Tell them what's in it for them, not simply that it exists. This is Marketing 101 folks. Talk less about your product (even if it feels like your "baby") and talk more about benefits to your target buyers. Do something genuinely newsworthy or tie your book launch to something bigger than the book itself. Unless you're a big-name author, the fact that you wrote a book is not news. Send non-newsworthy press releases to the media, and don't be surprised if you get blacklisted before you have a chance to make a good impression. Build your fan base and street team early in the process. Then, when your book is launched, let others help you spread the word. As a reader, it's much less obnoxious to see a writer's fans talking about their new book than to see ruthless self-promotion from the author everywhere they turn. And yes, you can build a fan base even before your first book is published. Focus on that author platform. None of this is to say you should never issue announcements. But it's a warning to be more cautious about how you deliver them. The next time you're tempted to tell the world about a new title, triple-check your announcement copy and ask yourself, if you were reading this same announcement from some other author you weren't already a die-hard fan of, would you really care? If the answer is "no," it's time to test something new. Jennifer, your first point about letting readers know what’s in it for them is sound advice for writers to consider not just AFTER they have written their books and want to share the news. It is something they should consider BEFORE they sit down to write the book. Pat Flynn wrote an e-book called “Ebooks – The Smart Way”, which provides writers with a step-by-step overview on how to write and publish a powerful ebook. One of his main points is that you (meaning the writer) don’t matter. You need to write something your audience will like, or you need to identify a problem your audience has and then offer a solution. Too many writers live within the bubble of their own excitement about the act of writing a book. Then they get stunned when no one is around to read it. Thanks Joe. I’m a fan of Pat’s, and he’s 100% correct here. It’s not just about books either. That’s another Marketing 101 issue — the only thing that matters is your target market and whether or not what you’re selling satisfies a need (or desire) of theirs. It’s sad that we even have to say these kinds of things, isn’t it? But unfortunately many people jump into writing with absolutely no grasp of business basics. That’s fine if you want to write as a hobby. But not if your intention is to sell your work. I frequently point out that authors need to do their market research and have a marketing plan well before they sit down to write their books. But no matter how many times they hear it, I also know writers who refuse to do it. They get stuck in the “I just want to write” mentality, and then when the book is published and nobody cares, they’re left scrambling and desperate for attention. And that’s where these kinds of mistakes come from. But it never has to be that way.